Superhero Spotlight continues its focus on Black Panther this week with the bad boys of Wakanda, M’Baku, Klaw and Killmonger. Marvel Studios will bring all three characters to life in the highly anticipated and soon to be released Black Panther. Winston Duke will play M’Baku, Michael B. Jordan plays Erik Killmonger and Andy Serkis reprises his role as Ulysess Klaw. All three villains have rich comic book origins. We begin this week with the exceptionally dangerous M’Baku. Before M’Baku became villainous, he was regarded as one of Wakanda’s greatest warriors and a friend to T’Challa. His animosity towards the king grew as T’Challa began to revolutionize Wakanda with technological advancements. M’Baku rejected the technological revolution of Wakanda and sought to have all technology prohibited so the nation could return to its natural primitive state from decades before. His opportunity came when T’Challa left Wakanda to help the Avengers; M’Baku and his followers revived the banned White Gorilla cult. M’Baku would then head deep into the jungles of Wakanda to hunt and kill a rare White Gorilla. After stalking and killing his prey, M’Baku bathed in the blood of the beast and ate its flesh, giving him the strength of the gorilla. Upon T’Challa’s return to Wakanda, M’Baku, now calling himself the Man-Ape, challenged the king for the throne and the right to rule over all of Wakanda. Erik Killmonger, whose birth name was N’Jadaka, was born in Wakanda. His childhood consisted of slavery, murder and kidnapping. When Ulysses Klaw invaded Wakanda to embezzle Vibranium, N’Jadakas’ family were enslaved by Klaw to mine for the precious mineral. Klaw was eventually driven out of Wakanda, which led to violence, in the midst of which N’Jadakas family were killed. Klaw snatched the child upon his escape, but N’Jadaka eventually freed himself from Klaw’s grasp and fled to America, where he gave himself the name Erik Killmonger and took up residence in Harlem, New York. Despite earning himself an education in Engineering and Business at MIT, he harbored a deep resentment for his former nation’s leaders and Ulysses Klaw, and made plans to overthrow T’Challa and his government. Ulysses Klaw was the son of Fritz Klaue, a Nazi war criminal who, after World War II, moved his family to Belgium and changed the family name to Klaw. Fritz would tell his son tales of a secret African nation called Wakanda. As a young man, Klaw worked as a physicist at the Technical University at Delft, where he designed a sound transducer that was able to convert sound waves into physical matter, but his invention needed one key element: Vibranium. Ulysses gathered a group of mercenaries and travelled to Africa in search of Wakanda and Vibranium. 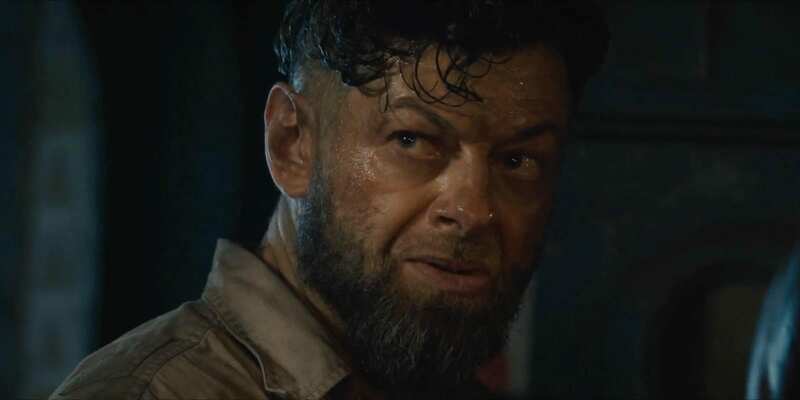 He was successful in his travels, finding a mound of the rare powerful element; however, it was being protected by King T’chaka and members of his tribe. They refused to give the Vibranium over to Klaw, who, in retaliation, ordered the mercenaries to shoot T’Chaka and his people. Rhe king’s young son T’Challa, who had never seen such brutality, watched as gunfire destroyed his superiors. Klaw went on a rampage with his remarkable weaponry, massacring and burnint down the nearby village and tribe. Young T’Challa retaliated by stealing the sound-blaster and turninf it on Klaw, then using the weapon to shatter Klaw’s hand. For the next ten years, Ulysses planned revenge against Wakanda, building more weaponry, including a sonic gun called a Force Glove to replace his hand, and vowing to take his revenge against Africa’s secret nation. Ulysses Klaw’s origins have been altered in the MCU; his hand was not taken by T’Challa, but by Ultron during Marvel Studios Phase 2’s tribute to The Empire Strikes Back. How M’Baku and Eric Killmonger will fit into Marvel Studios’ Black Panther is mostly unknown, though one thing we do know is that some sort of relationship between Klaw and Killmonger does exist. Black Panther tickets are currently selling fast at the box office, so if you want a guaranteed seat on opening weekend, buy your tickets now! Black Panther gets a February 16th release date in the US and February 13th in the UK.